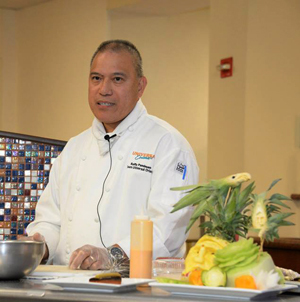 This month’s meeting features an educational Garde Manger presentation by Chef Raffy Pambuan of Universal Orlando. 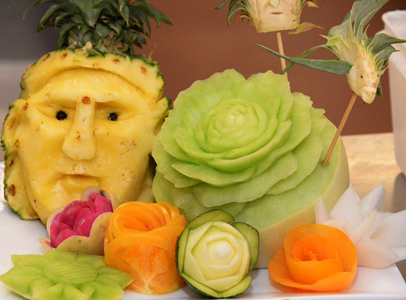 A few lucky attendees will be chosen to carve alongside Chef Raffy. Don’t miss this opportunity! Attending will earn 1 CEH. Networking, raffles, and more. Guests are welcome. The next local certification Practical Exam date is scheduled for June 5th, 2016 and it will be hosted by Le Cordon Bleu College of Culinary Arts, Orlando, FL. Click here for the registration page on the national ACF website. For more information, please contact our Certification Chair, Chef Nora Galdiano, at 407-864-8822 or ngaldiano@gmail.com. ACF Central Florida Chapter is partnering with the YMCA of Central Florida during the Healthy Kids Day event on Saturday, April 30, 2016 from 10 am to 1 pm. The goals of the Healthy Kids Day aligns with the ACF Chef and Child Foundation’s mission statement “To educate children and families in understanding proper nutrition through community-based initiatives led by American Culinary Federation chef members, and to be the voice of the culinary industry in its fight against childhood hunger, malnutrition, and obesity”. We are seeking Chefs to volunteer at various YMCA locations in Central Florida to do a simple demo focusing on Child Nutrition. Event time and expected flow of attendees will vary based on the YMCA location selected. If you are interested in participating, please contact Chef Nora Galdiano at 407-864-8822 or ngaldiano@gmail.com to sign up and for further details. 2016 Culinary Competition Application is Here! Calling all chef competitors! 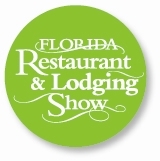 The annual Culinary Art Competitions at the FRLA Show sponsored by the American Culinary Federation’s Central Florida Chapter will take place September 27, 28 & 29, 2016 at the Orange County Convention Center in Orlando, Florida. These competitions are now Worldchefs Sanctioned Competitions (WACS). Please click here to download the current information and application forms (revised April 14th). If you have any questions, please contact Steve Jayson at 407-363-8340. This year’s Pastry Challenge theme is “Steam Punk”. Let the creativity begin! See you at the May Chapter Meeting Event!